 Borghese Gallery: book your tickets now! 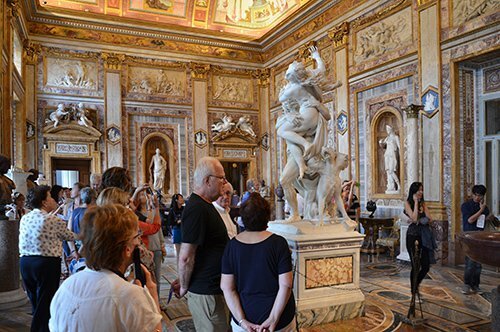 Borghese Gallery: enjoy your tour with a private guide! Discover with a guide dedicated to you the treasures kept in the Borghese Gallery! WHY VISIT THE BORGHESE GALLERY? By visiting the Borghese Gallery, you can admire numerous works by famous Italian artists such as Caravaggio and Bernini. Among the most important works that you can't miss in your visit to the Borghese Gallery, is the David that Gian Lorenzo Bernini sculpted under commission of Cardinal Peretti. This representation of David differs from the other sculptures that represent the biblical hero, especially because David is represented at the moment when he is about to throw the stone at Goliath. The face of the David of Bernini presents a frown, a tense look and lips that are tightly tightened; all this conveys to the spectator the effort, even physical, that this moment narrates. Among the sculptures by Bernini, the Gallery also houses the Apollo and Daphne, La Verità and il Ratto di Proserpina. The Borghese Gallery also displays the wonderful Paolina Borghese Bonaparte as the victorious Venus of Antonio Canova, and the famous Caravaggio paintings such as David with the head of Goliath, Giovane with canestra di frutta (boy with a fruit basket) and the Bacchino malato (young sick Bacchus). Tiziano, Raffaello and Correggio, are other artists who have made unique the collection of the Borghese Gallery. In 1600 Cardinal Scipione, son of Ortensia Borghese and nephew of Pope Paul V, was commissioned to manage the collection of works of art that at that time was the property of the Vatican. Most of the works that formed the Borghese Gallery, were collected in this period by Cardinal Borghese, who was interested in preserving works of Ancient, Renaissance and Contemporary art. His taste and his knowledge in the artistic field, made it possible to create a wonderful collection of works. The park of Villa Borghese and the Borghese Gallery were designed in the 17th century on the property of the Borghese family by the architect Flaminio Ponzio and, later, by Giovanni Vasanzio. The complex underwent a stylistic renovation at the end of the 1700 by the architect Antonio Vespucci. At the beginning of 1900, the Borghese Gallery, including all the works of art, was sold to the Italian State becoming a museum. WHAT IS BORGHESE GALLERY NOWADAYS? The Borghese Gallery is an art gallery inside Villa Borghese in Rome. It has a series of magnificent paintings by artists such as Tiziano, Caravaggio and Raffaello, a beautiful collection of ancient sculptures, Also has sculptures by the most famous artists of the time such as Gian Lorenzo Bernini. In addition to the exhibited works, the Borghese Gallery is a fascinating example of interior decoration with mosaics, stuccos, marbles and frescoes that adorn the 20 rooms that are part of the museum. Did you know that the painting "Davide che uccide Golia" ("David that kills Goliath") by Caravaggio, exhibited in the Borghese Gallery, was painted between 1609 and 1610? In those years Caravaggio was in Naples waiting to be granted absolution and for his crimes to be pardoned. Along with the request for grace, which the artist sent to Cardinal Borghese, he also sent the painting. The latest studies of this painting say that "Davide che uccide Golia" is nothing more than the set of two self-portraits of Caravaggio, the young, sinless Caravaggio who murders the old, tired and sinful Caravaggio. Did you know that Villa Borghese is a beloved park in Rome and very frequented by the Romans? 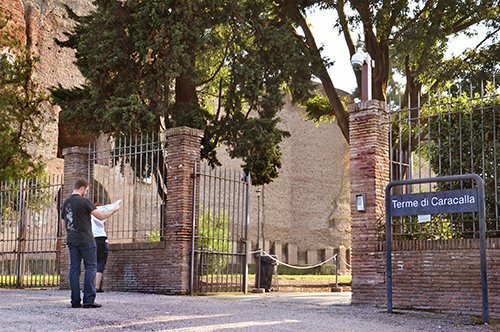 Inside, in addition to the Borghese Gallery, there is a zoo and a theater, as well as numerous games and attractions for children. 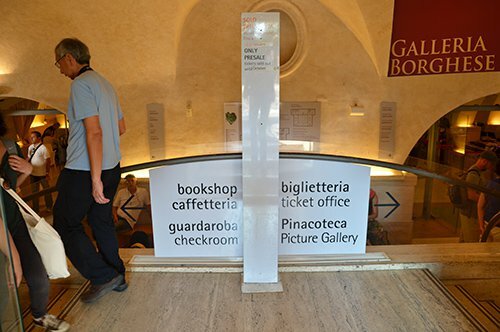 HOW TO VISIT THE BORGHESE GALLERY? 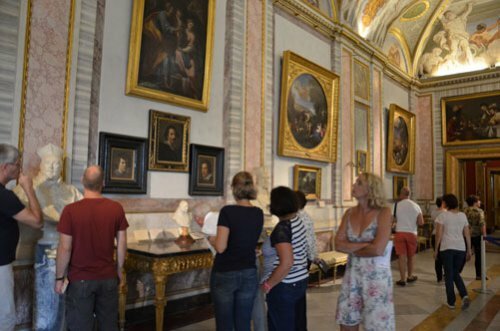 To visit the Borghese Gallery it is obligatory to book the entry, it is possible to buy the ticket in advance, taking part in a group tour or booking a private guide service. 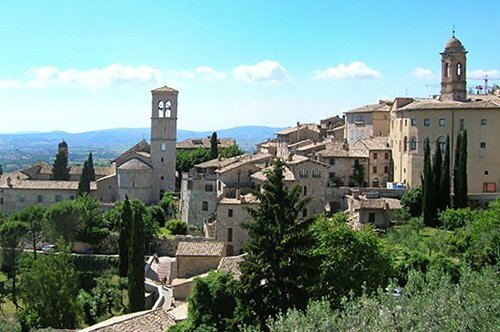 The guided tour is available in Italian and English, and is arranged on fixed days and times with a guaranteed tour. 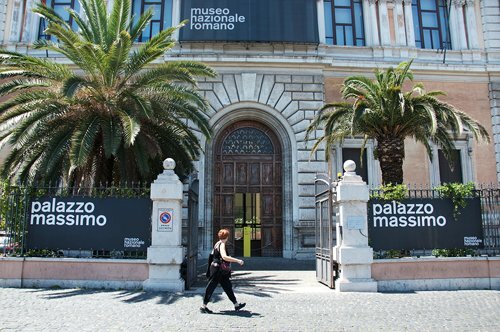 The private tour that allows you to discover the museum with a guide dedicated exclusively to you is absolutely recommended. According to the norms of the museum, it is possible to stay inside the Gallery for a maximum of 2 hours. If you have visited the Borghese Gallery, you are in the beautiful park of Villa Borghese. 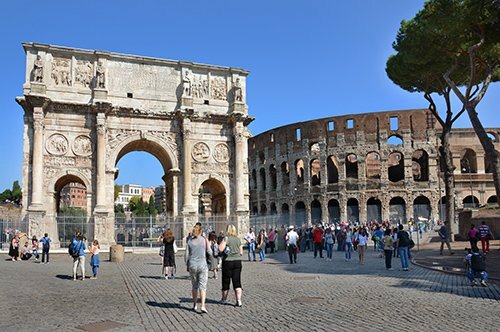 Check your Map of Rome and discover that you are not far from many Roman attractions and famous monuments in the world. 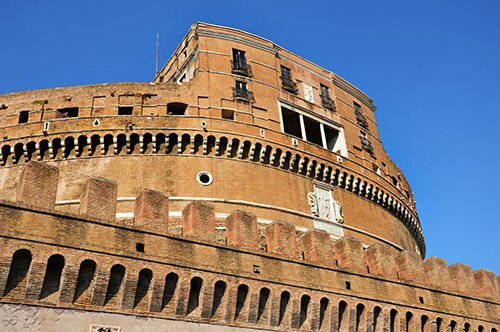 Walking towards the center of Rome and passing through the Piazza di Spagna, at the bottom of the Spanish Steps, you will reach the Colosseum where you can also visit the Roman Forum and the Palatine. These places, besides being archaeological museums in the open air, are full of the splendor of the ancient Roman buildings. 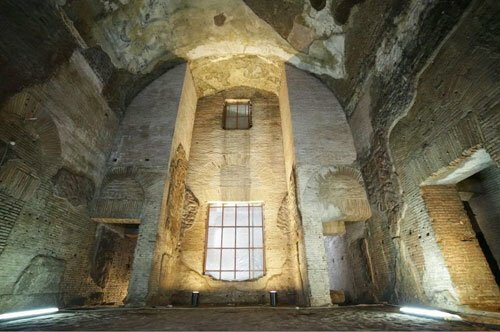 Other places of considerable historical interest are, for example, the Thermae of Caracalla, the Catacombs, the archaeological site of Villa dei Quintili and the Tomb of Cecilia Metella. If you want to immerse yourself in art and in a unique place in the world, you can go to the Vatican City, where you will find the imposing St. Peter's Basilica and you can see with your own eyes the frescoes of the Sistine Chapel, visit the Vatican Museums and the Vatican Gardens. 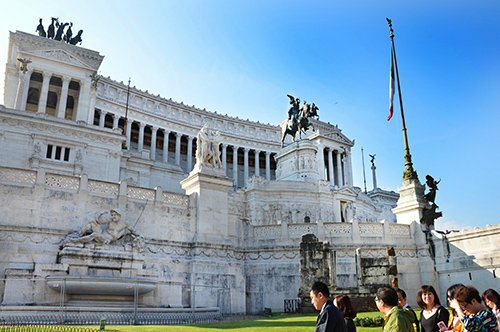 If you are fond of Roman history, do not miss visiting the Domus Aurea of Nero, the Ara Pacis, the Capitoline Museums near the Capitoline or walk along the Tiber River to visit the Castel Sant'Angelo. It is also very interesting the National Roman Museum that is divided into four venues. On the outskirts of Rome it is possible to visit Castel Gandolfo, a small town that houses the Pope's summer residence, overlooking the Albano Lake. Another tourist attraction in the vicinity of Rome is undoubtedly Villa d 'Este in Tivoli, where you can visit the Villa and its beautiful garden.